Aston Martin is poised to take the 89th Geneva International Motor Show by storm with the global debut of the Lagonda All-Terrain Concept. 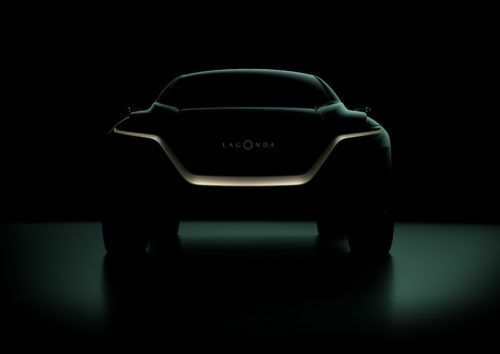 The next successful relaunch of Lagonda as the world’s first luxury zero emission brand and the surprise debut of the Lagonda Vision Concept at last year’s Geneva Show, 2019 sees the reveal of Lagonda’s All-Terrain Concept. The new All-Terrain Concept bears the bold hallmarks of the Vision Concept. By taking full advantage of its zero emission platform Lagonda’s design team has created a car boasting extraordinary style and space efficiency combined with a rakish design language that demonstrates the unique freedom afforded by Lagonda’s commitment to zero emission powertrain technologies. Joining the new Lagonda All-Terrain Concept will be examples of Aston Martin’s three core series production sportscars: Vantage, DB11 AMR and DBS Superleggera. Two of these cars are the work of Aston Martin’s bespoke personalisation service, Q by Aston Martin. 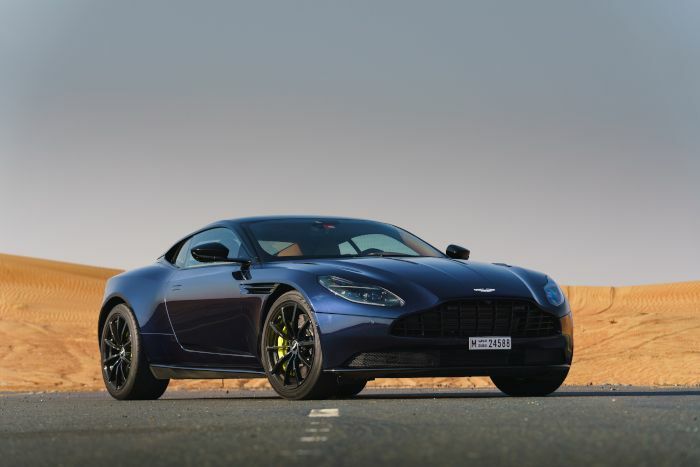 Inspiration has been taken from the high performance of motorsport for its Geneva Show Vantage. Finished in Q by Aston Martin’s exclusive searing ‘Cosmos Orange’ paintwork and featuring a dazzling array of interior and exterior carbon fibre detailing together with orange graphics and matching anodised interior switches, it perfectly expresses the Vantage’s innate dynamism and racing DNA. 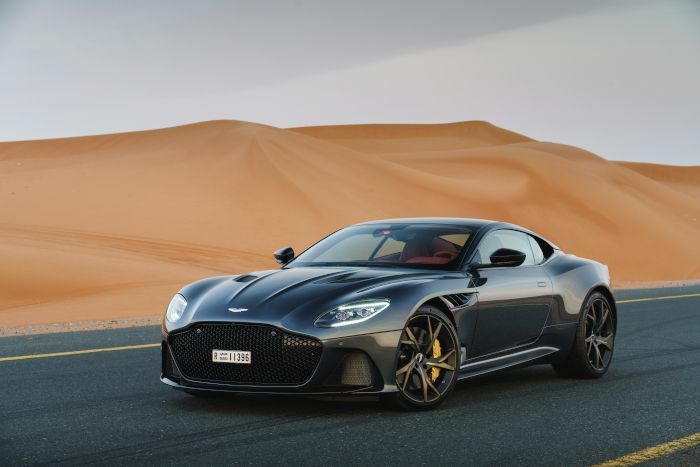 Drama of a different kind is provided by the Q by Aston Martin DBS Superleggera, which explores dark Gothic themes. Painted with Q by Aston Martin exclusive ‘Numinous Pearl’ with Q Collection Black Tinted Carbon Body Pack, Satin Black and Satin Bronze 21” forged ‘Y’spoke wheels and smoked tail lamps the 715bhp Super GT exudes maximum menace. Inside a combination of Triaxial Weave carbon fibre, Black Metallic and Bitter Chocolate Aniline Leather upholstery reinforce that message, creating brooding ambience that’s rich in opulence and intrigue. Andy Palmer, Aston Martin Lagonda President and Group CEO, said: “The ways in which automotive brands reveal new product has changed beyond recognition in recent years, but there’s still something compelling about the unique atmosphere of a great motor show. Historically Geneva has always been good for us - the buzz surrounding the stand last year when we revealed the Lagonda Vision Concept was truly remarkable - so it’s fantastic to return to the scene of such great success with another world debut. The Lagonda All-Terrain Concept offers explicit clues regarding what will be the first Lagonda model to enter production, and further demonstrates how Lagonda’s zero emission powertrain enables us to create spectacular cars that will radically redefine their sectors of the market. I’m expecting the Aston Martin Lagonda stand to be busier than ever, and very much look forward to seeing the crowd’s reaction first-hand”. The 89th Geneva Motor Show runs from 5 March to 17 March 2019. Join us in Hall 2, Stand #2229, or experience the show via Aston Martin’s social media channels.